Home › SFCIC Blogs › University budgets and participatory governance: A sandbox for democracy? With hot debates ongoing in the media and elsewhere on topics such as ‘Brexit’, devolution in Scotland and to the regions, migration’s impact on public services, or the UK’s public sector (post banking crisis) austerity programme, the need to bring together diverse voices in new ways to ensure democratic accountability and trust in our political institutions is much needed. These debates were reflected and referenced within the seminar “Participatory Budgeting, Democratization and Open Government: State of the Art in Europe and the UK”. This was a full day of workshops and seminars that took place on June 2nd, 2016. 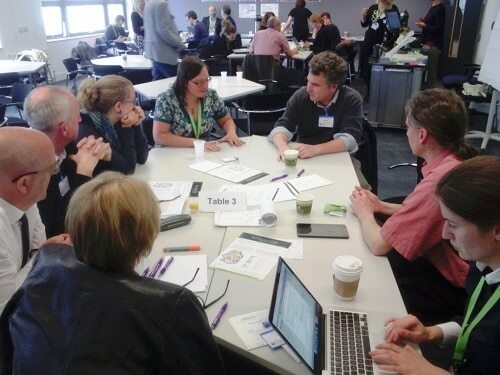 The day was co-organised by the EMPATIA project and the UK Participatory Budgeting(PB) Network and hosted by Brunel University. The day included discussion on whether institutional budgets, such as those of Universities, or of trade unions, or political parties even, might become more participatory and more responsive to all the stakeholders in those institutions. In this blog, one in a series I will write looking at different sorts of institutions and whether PB has a role in their governance, is inspired as being a part of that conversation. It was suggested that there were two different opportunities from PB within an educational setting. Firstly, to use Participatory Budgeting (PB) as a tool for deciding, or at least as a method of raising awareness and interest in budget setting. And that as well as PB being a mechanism for deciding, it could also be a tool for learning. Educational settings should be about expanding our thinking and challenging orthodoxy, but often they are the most hierarchical and rule bound. Which is why using PB in a university or educational setting might be a really good thing. It was commented that college students don’t ‘get’ the concept they might influence their school or university budget, and seem far too apathetic in the face of the inherent inequalities in education, where those at the top are the natural experts and set all the rules. Gone are the heady days of regular sit-ins and student demonstrations. Though this may be simply wrong. Evidence shows that young people do care, and will get involved. Maybe what is missing is the means to participate, not the will. After all, with the increase in student fees more and more income within higher education is derived from the student body – it’s increasingly their money that keeps the system working. Vice-chancellors, who have seen a huge increase in their pay in recent years, might rightly fear the voice of the questioning, empowered student. Perhaps senior academics like to keep budgets opaque on purpose? It increases their power to do so, not only over students, but also over researchers and more junior academics. We considered why this might be. Is it the status anxiety of those at the top, who fear sharing power? Is that the only reason for an almost intentional obscurity over institutional budget setting. The turnover of a large University in the UK is generally near to £1billion pounds a year. The University of Oxford’s budget is well over £1b. That is a lot of money for an organization to spend without regular critical debate within its own population. And yet Oxford University is not immune from criticism of how it fails to contribute to social equality. Using PB as a learning tool could be transformational. Like seeding a crystal, a common science experiment in schools, might not PB within schools and in universities spread into wider society? Changing our top down ‘they know best’ culture by allowing people within those institutions ask some searching questions. After all, Oxford University states one of its key missions is to enable “students to apply the values, skills, and intellectual discipline they have acquired in their future lives and careers”. What better way than building their voice squarely into the governance of their University. Throughout the world, and led by movements for open and accountable government PB is being promoted as one answer to an over dominant bureaucracy. For fostering greater transparency and accountability. For promoting critical thinking skills. And thereby, almost perversely, a means of re-building trust in authority. Well, maybe some progress is being made. SOAS Student Union has recently run a form of PB process to spend some of its own budget, and last year Leeds Trinity Student Union did the same. Lancaster Student Union has a similar initiative. It’s time for Universities to lead where the Student Unions have experimented, and find new ways to share power. Bringing just a few heads together face to face to deliberate openly really can stretch the boundaries of our thinking. In our small academic workshop we considered some big ideas. Like… where is the limit to PB? We agreed every budget decision could be more participatory. That must include educational establishments. And I believe that through opening up thinking and including more perspectives in our decision-making we make better decisions. That is the power of participation. It’s about harnessing the power of crowd-sourced knowledge. This year, in the PB Process in New York around 67,000 people participated in deciding how to spend $38m. 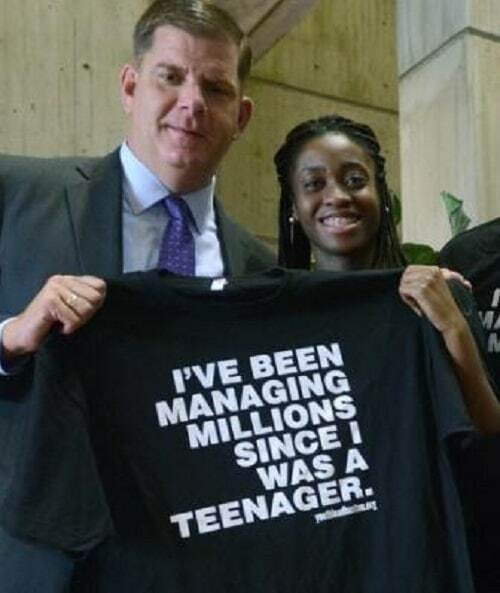 In Boston young people have direct control over a budget of $1m per year. If two heads are better than one… what about 10 heads, or 100, or 67,000. Would your school or college trust its learners, and use PB to set just some of its budget? Or do we continue to believe the Vice-Chancellor always knows best?